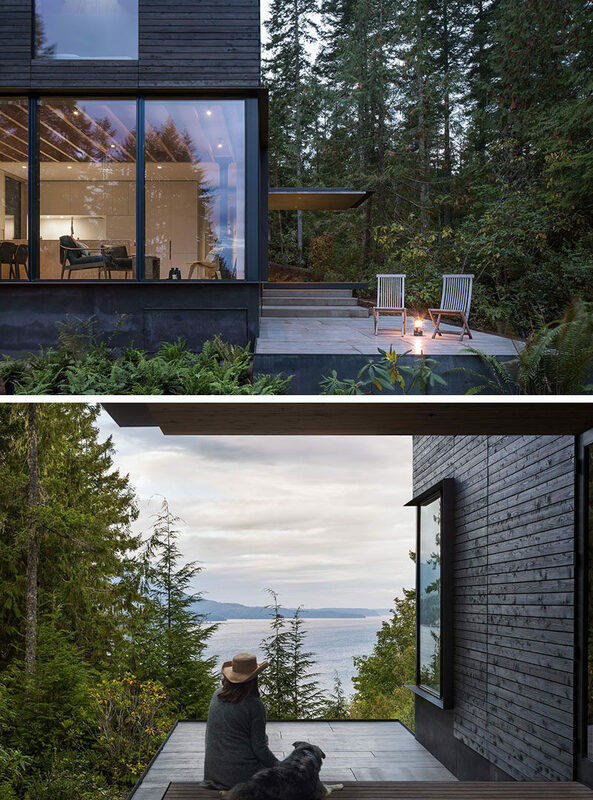 mw|works architecture + design have designed ‘The Little House’, a small and modern cabin, that’s located in Seabeck, Washington State. 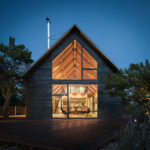 The cabin has been built over an existing foundation, with the new building measuring in at 1,140 square-feet. 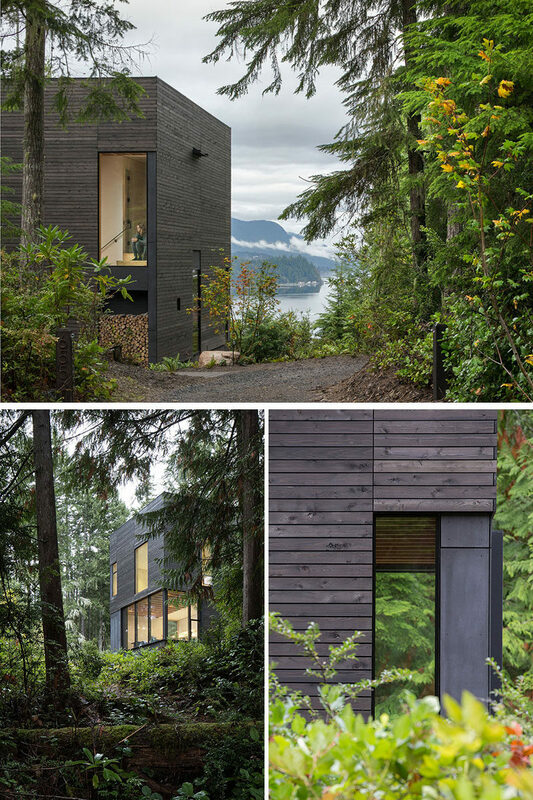 Taut oxidized black cedar and blackened cement infill panels clad the exterior of the cabin. 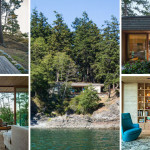 Stepping inside, the social areas of the cabin all share the main floor. 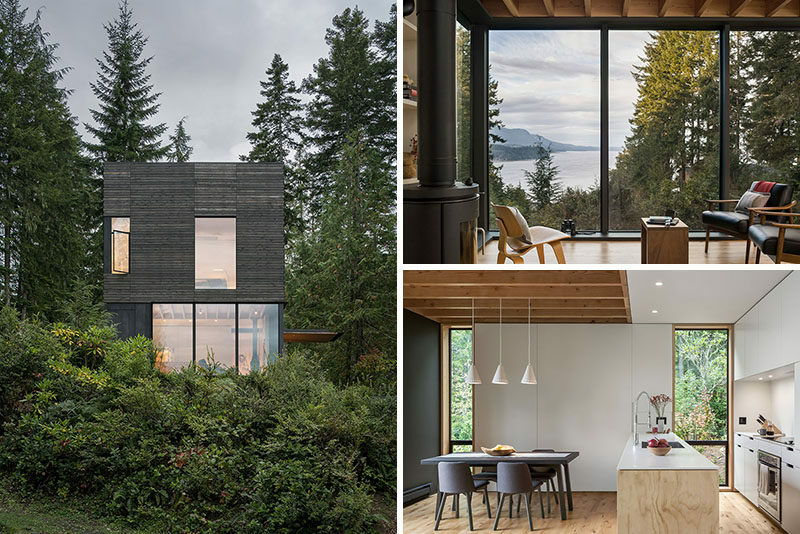 Lightly painted panels and soft pine plywood warm and brighten the interior, while the floor-to-ceiling windows provide sweeping views of the trees and water. 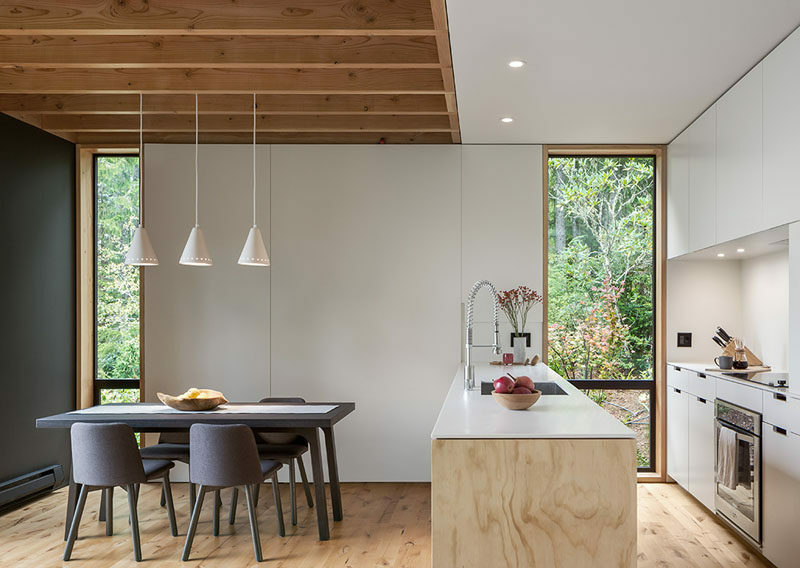 Keeping the kitchen white helps to reflect the natural light throughout the interior, and three simple pendant lights highlight the dining area. 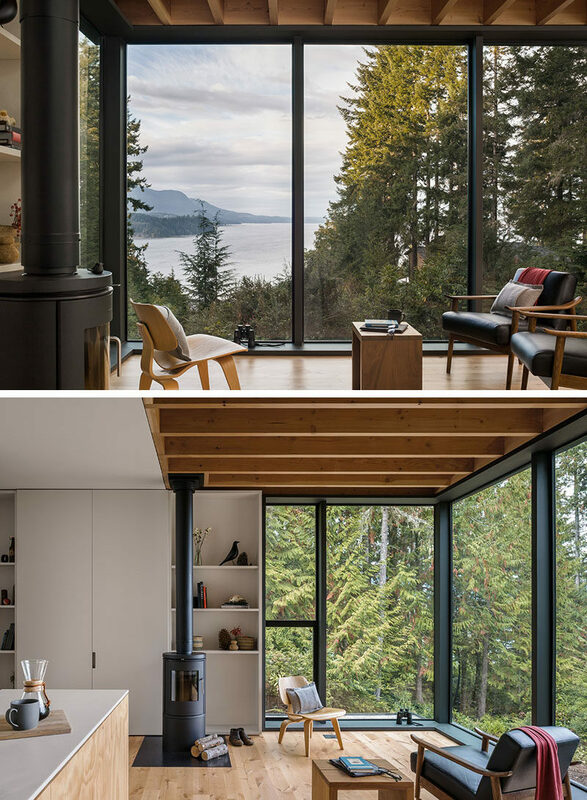 The main floor of the cabin also has access to a patio. 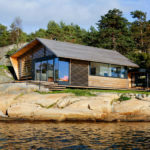 On rainy days, the home owners can sit under the covered entry porch, while on a sunny day, there’s a patio for relaxing. 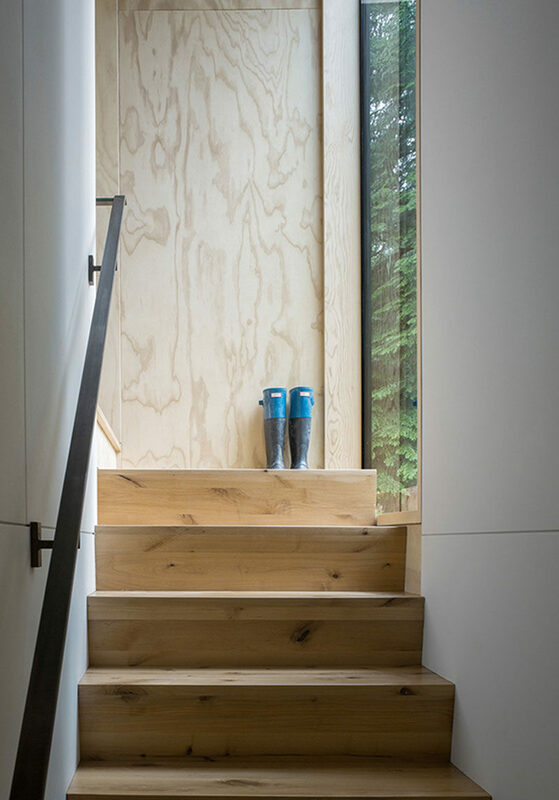 Back inside, and there’s wood stairs that lead up to the bedroom and bathroom. 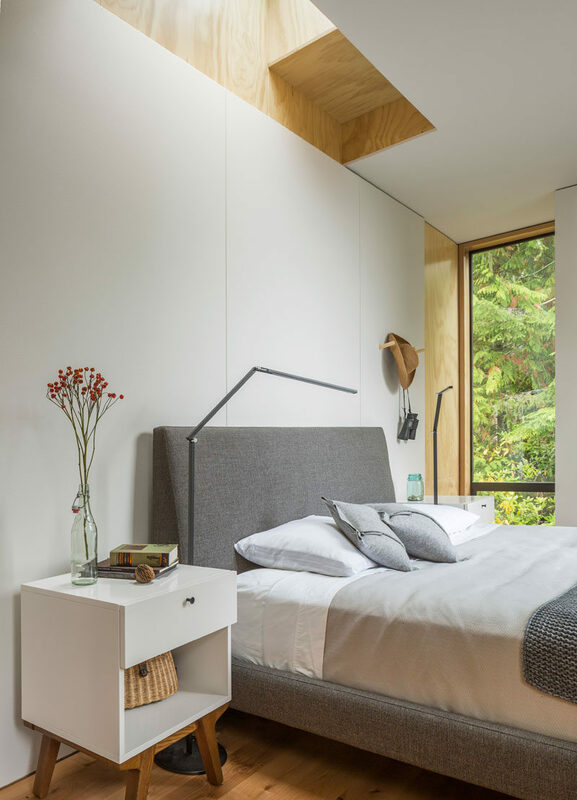 In the bedroom, a skylight is positioned above the bed, adding natural light to the already bright white space. There’s also a skylight in the bathroom, that’s positioned above the shower. 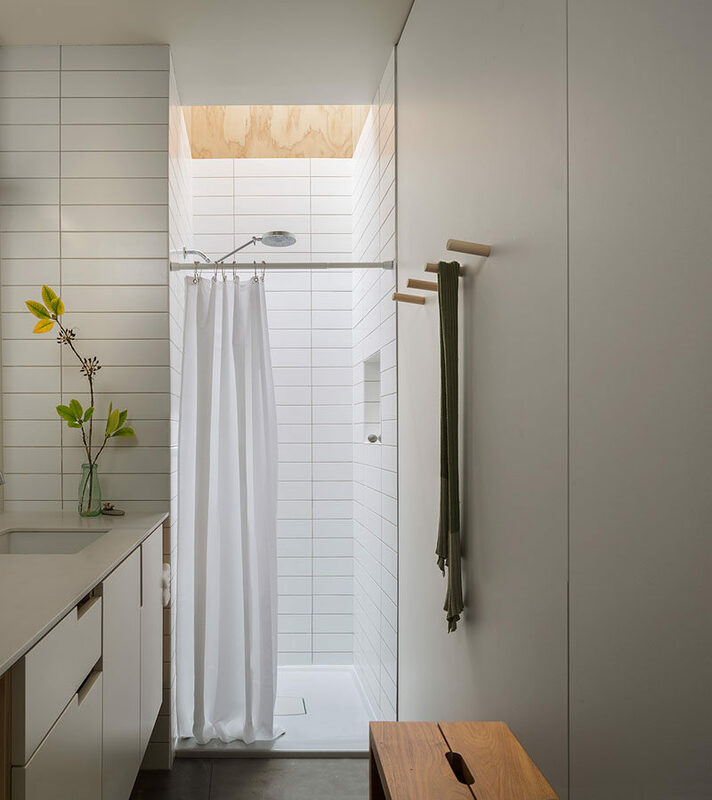 Long rectangular white tiles line the shower and wrap around to the vanity area.